This video clip is from 1983. There are lots of characters involved in this scene, but the main story revolves around Douglas "Pogo" Patterson (played by Peter Moran between 1980 and 1984) trying to sell some pens to Roland "Rolo" Browning. "Gripper" Stebson (played by Mark Savage between 1981 and 1985) intervenes to try and take the money from "Pogo" and almost gets into a fight before being surrounded by everyone in the playground. This also features Claire Scott (I used to fancy her at the time!) who was played by Paula-Ann Bland between 1981 and 1985. I remember this moment when Suzanne Ross (played by Susan Tully between 1981 and 1984) decides to turn up at Grange Hill dressed as singer Boy George, making Mrs McCluskey very annoyed! In this great clip from 1983, Miss Mooney and Mr Baxter dance to Captain Sensible! Also features Roland Browning receiving a Welsh dictionary as a present - just what he wanted, I'm sure! 4. Susan's skirt upsets Mrs McCluskey! This is an episode from 1983 starring Susan Tully as Suzanne Ross, and also featuring Mrs McCluskey who was played by Gwyneth Powell for ten years between 1981 and 1991. This clip features Trisha Yates (played by Michelle Herbert between 1978 and 1982) and Benny Green (played by Terry Sue Patt between 1978 and 1982). 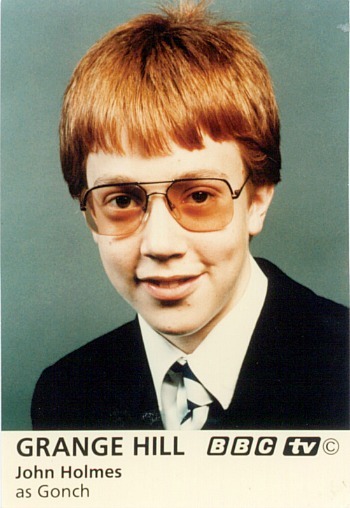 Roland Browning is finding it hard to adjust on his first day at Grange Hill. He goes and locks himself in the toilets. Zammo and his mate Jonah come to the rescue with 'stink bombs' and so Roland has no option but to come out and face the teachers. Classic clip from 1981. Listen out at 1:02 where Mr Baxter says "you're bound to be f****d". At least, that's what it sounds like! Played by Michael Sheard between 1985 and '89, Deputy Headmaster Maurice Bronson is having car trouble in the first of several funny clips. I always thought he would have made a great dalek! In this clip, Jonah and Zammo play the fruit machines at St. Albans and are then chased by thugs. These were certainly happy times. Grange Hill, which first started in 1978, was produced by Liverpudlian Phil Redmond, who also went on to produce Brookside and Hollyoaks. The children's TV drama was shown at tea-time on BBC1 and was one of the longest running programmes on British Television. Several of the young actors and actresses went on to have major roles in Eastenders, including Todd Carty, and Susan Tully (Suzanne Ross character below). 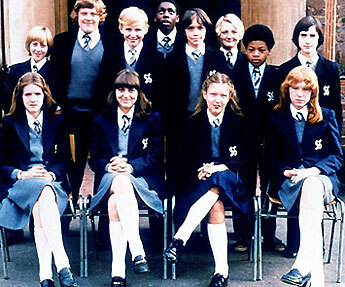 The last ever episode of Grange Hill was shown on 15th September 2008, after a run of 30 years. Grange Hill Cast "Just Say No"
My old Grange Hill Annual from 1984 ft. the characters Annette Firman (Nadia Chambers), Samuel "Zammo" McGuire (Lee McDonald), Gordan "Jonah" Jones (Lee Sparke) and Fay Lucas (Alison Bettles). 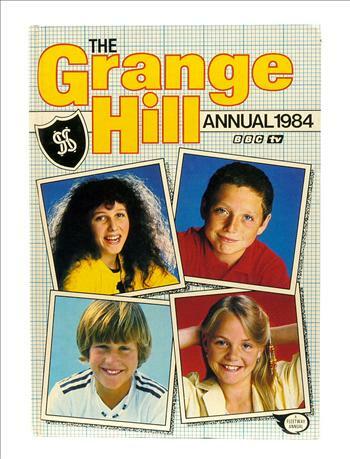 The Grange Hill Annual 1985 ft. Suzanne Ross, Christopher "Stewpot" Stuart, Claire Scott and Douglas "Pogo" Patterson. 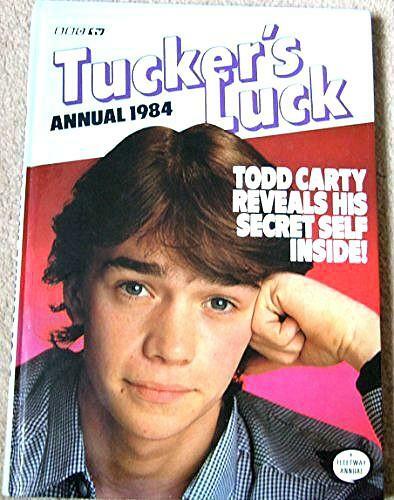 Tucker was, of course, played by Todd Carty, who was in Grange Hill between 1978 and 1982. He went on to star in Tucker's Luck from 1983 to 1985, and more recently played Mark Fowler in Eastenders. Here are a few memorable characters from the 70s and 80s series. Photos for each and every one of them are extremely hard to find, but the ones I have found (the more memorable ones) have been added below. I will continue to add more as I find them. How many do you remember? 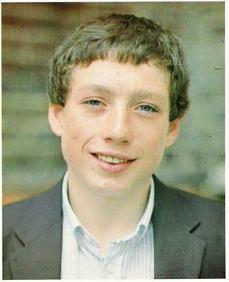 Lee MacDonald as Samuel "Zammo" McGuire (1982-87). 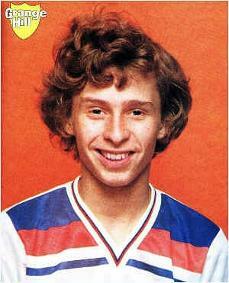 Mark Baxter as Duane Orpington (1980-84). Luke "Gonch" Gardner was played by John Holmes from 1985 to 1989. He was later credited as John McMahon. Music teacher Mr. McCartney (1985) played by Tony Armatrading. Dulice Liecier as Precious Matthews (1981-85). Bradley Sheppard as Paul "Hollo" Holloway (1985-87). Douglas Chamberlain as Julian Fairbother (1985). Suzanne Ross was played by Susan Tully between 1981 and 1984. 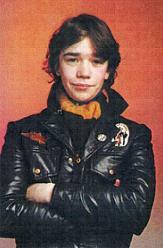 "Gripper" Stebson (Mark Savage) 1981-1985. Claire Scott (Paula-Ann Bland) 1981-1985. Annette Firman (Nadia Chambers) 1982-85. 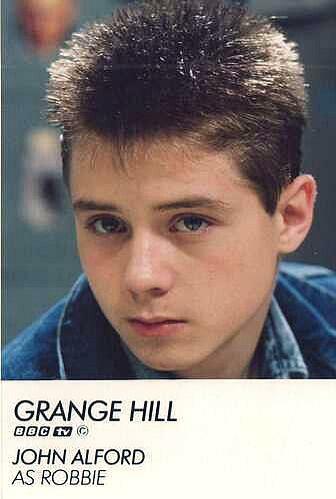 Jonah Jones (Lee Sparke) 1982-83. Benny Green (Terry Sue-Patt) 1978-1982. Fay Lucas (Alison Bettles) 1982-87. Roland "Rolo" Browning (Erkan Mustafa) 1982-87. 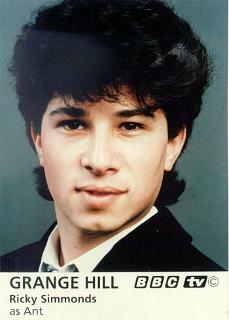 Ziggy Greaves (George Christopher) 1986-89. Mrs McCluskey (Gwyneth Powell) 1981-1991. The most famous sausage in Great Britain!